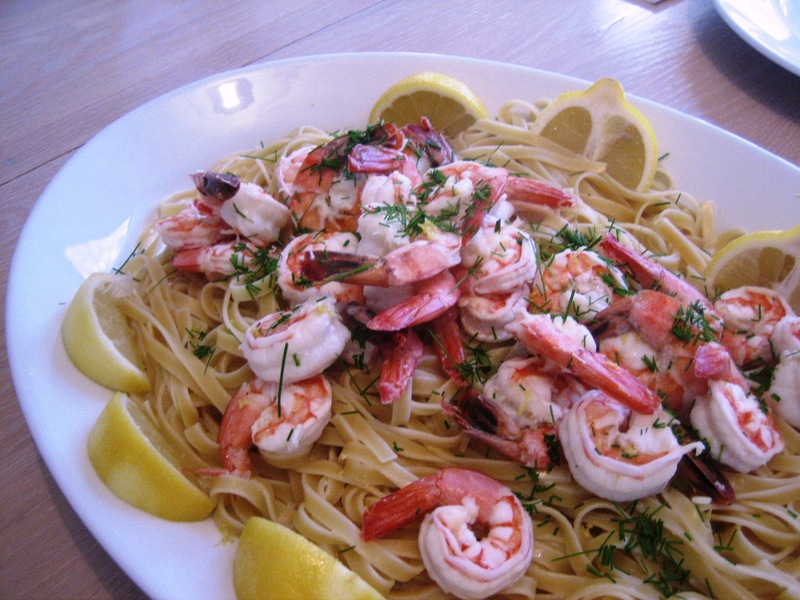 Meanwhile, in a medium bowl combine the peeled, washed and deveined shrimp and mix with the lemon juice to coat all the shrimp. In a large saucepan heat the heavy cream, milk, white pepper and lemon zest over medium heat and still occasionally but do not allow to burn. In a sauté pan heat 1 Tbs of olive oil over medium high heat add the shrimp with lemon juice coating for 3-5 minutes until shrimp are pink and cooked through. Set aside- drain any remaining liquid. Add the cooked pasta to the cream and stir to combine. 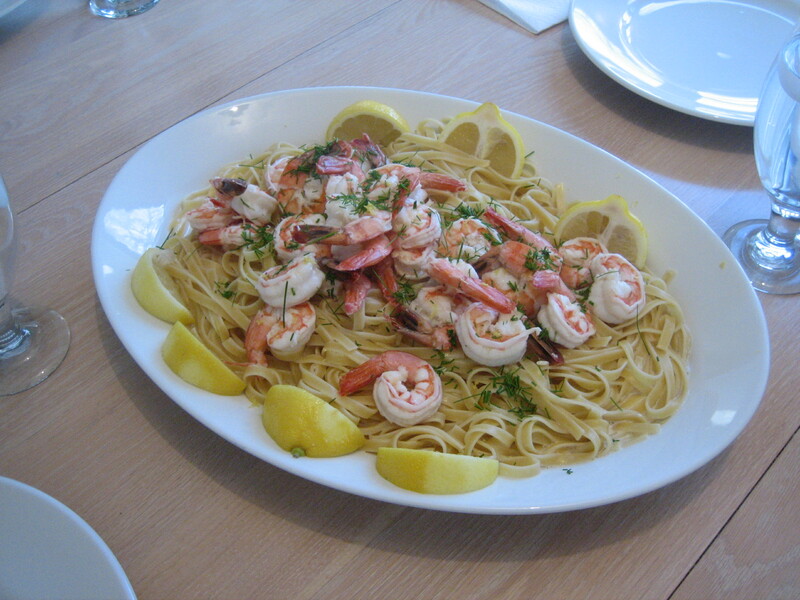 Transfer to a large shallow serving dish and top with cooked shrimp and garnish with fresh chopped chives and lemon zest and wedges.